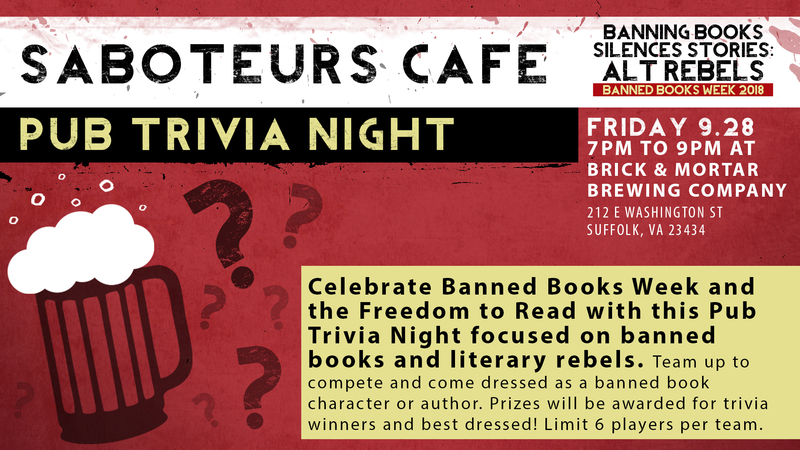 On this date, we bring you a Pub Trivia Night for adults focused on banned books and literary rebels. Teams will compete in this literary themed trivia, as well as have the opportunity to enter a costume contest for the best dressed banned book character or author. Prizes awarded for trivia winners and best dressed! Limit 6 players per team. Trivia will be hosted by Brick and Mortar Brewing Company 212 E. Washington St. Suffolk, VA.